Colour poster. The design incorporates a globe with a map of Great Britain on it. Lettered at bottom of sheet. This poster was reproduced on p.42 of Modern Publicity 1952-1953, The Studio Publications, 1952. 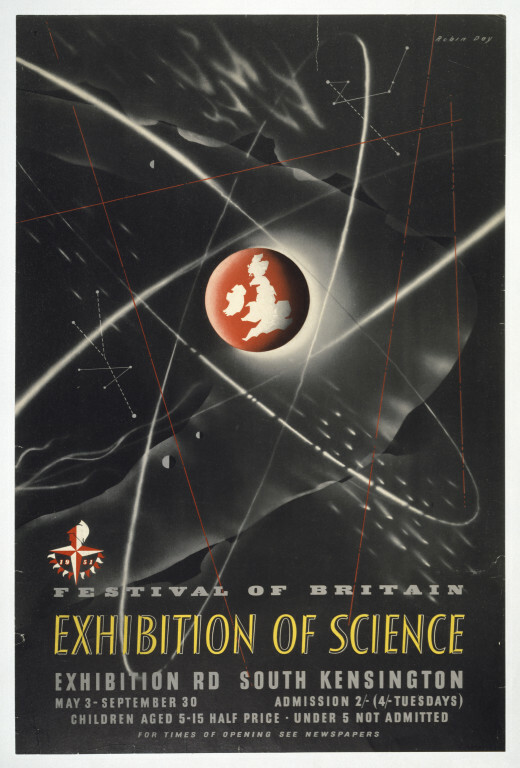 'Exhibition of Science'. 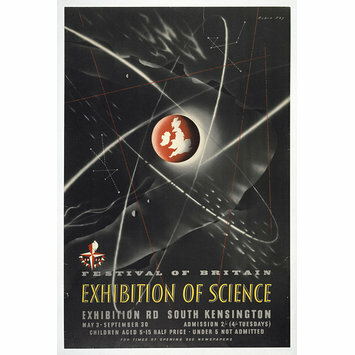 Poster advertising an exhibition held at South Kensington in connection with the Festival of Britain. Designed by Robin Day and produced by the London Press Exchange. Colour offset lithograph, Great Britain, 1951.